It’s now been a full year since we moved to a new home, and about eight months since I started setting up my new shop. It’s been an effort getting it done, not least because we still have boxes that are unpacked. That there is the last batch of missing clamps. They’re all small ones, so it’s not surprising they’d be at the bottom of a box filled with miscellaneous odds and ends. 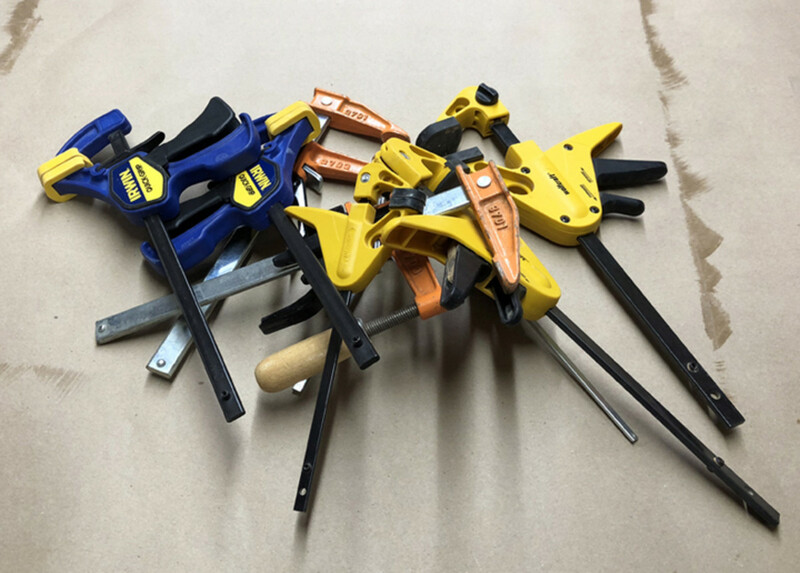 And, while not the last of many smallish woodshop items I still haven’t been able to locate, I now have a full complement of clamps. Do I have enough, though? Of course, not. 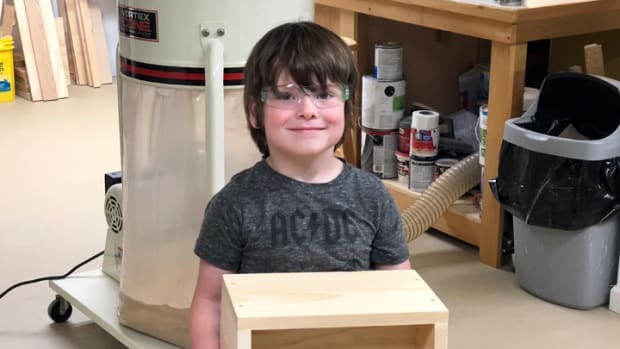 There’s a brand new woodworker in town. No need to worry about competition yet, though – he’s only five years old.